One of the biggest trends we’ve been seeing in the magazines, on celebs, and in street wear is the statement necklace. Whether it’s a chunky chain or colorful baubles, there is no better way to add edge or glam to an otherwise ordinary outfit. Here are the best ways to style your own statement necklace. There’s no reason to let going to work stifle your fashion creativity. 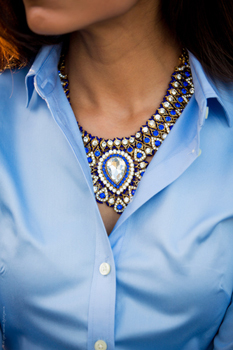 Let a bold necklace peek out from under your blouse for a subtle, but glamorous touch. 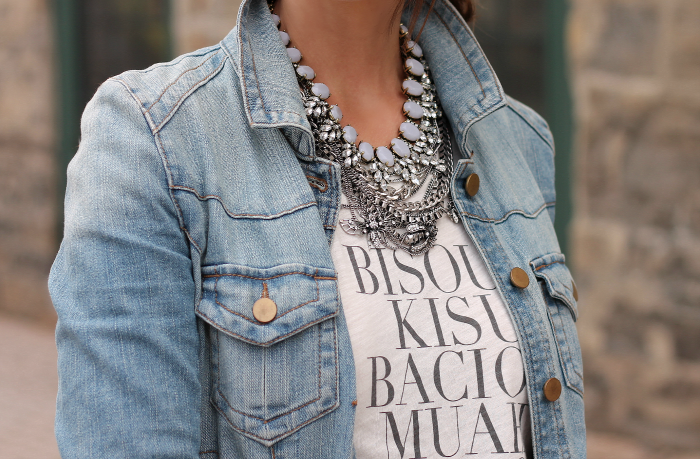 Spice up a plain graphic tee with an edgy statement necklace. Some shiny jewels or a thick chain will make even a white tee-shirt look expensive and glamorous. Choose a necklace in a similar color pattern to your top for a sleek, sophisticated look. A longer necklace like this one will also help elongate your torso so you appear taller. 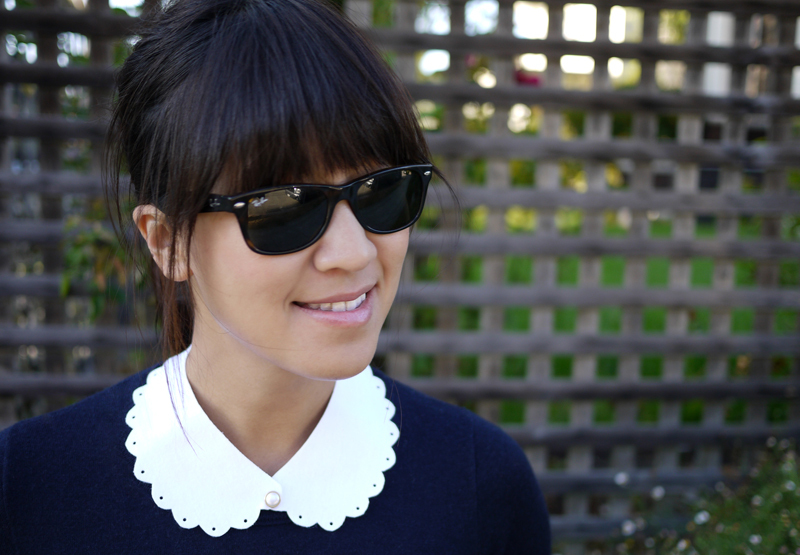 A peter pan collar necklace is the perfect accessory to sweeten up a dress. 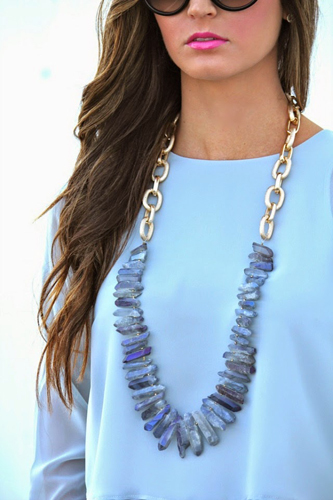 This is a great way to ease into the bold necklace looks without wearing anything too flashy. 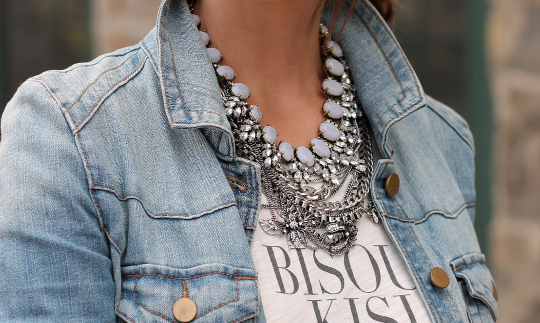 If you want to up your necklace game, try layering a few necklaces in varying lengths but a similar color scheme. Be creative! Mix dainty chains with bejeweled baubles. 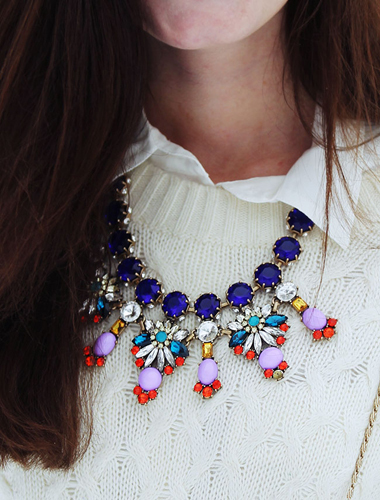 Pairing a bold necklace with a simple sweater will glam up any winter outfit. Pick a heavier necklace for a thicker sweater and a daintier one for a lighter sweater for a balanced look. So what do you think of the statement necklace trend? Let us know in the comments and post your favorite way to wear necklaces on Instagram or Twitter with #GlamorousPaper so we can see your personal style!